Keeping ourselves abreast of cutting edge technology, we manufacture these Vacuum Pressure Impregnation Machines, that are designed by our team, who possess abundant experience in this domain. 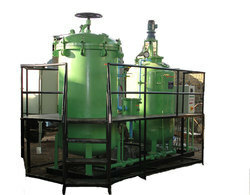 The Vacuum Pressure Impregnation Machine can be designed as per client's requirements and is available at leading market price. It has added provisions are Oil Heating/ cooling Jacket, Quick Clamping bolts, Stirrer, Neoprene Gaskets, Sight glass, Illuminating Lamp, Pressure Safety Valve, Vacuum & Pressure gauge. 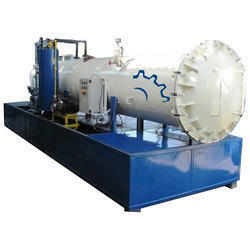 Looking for Vacuum Pressure Impregnation Machines ?